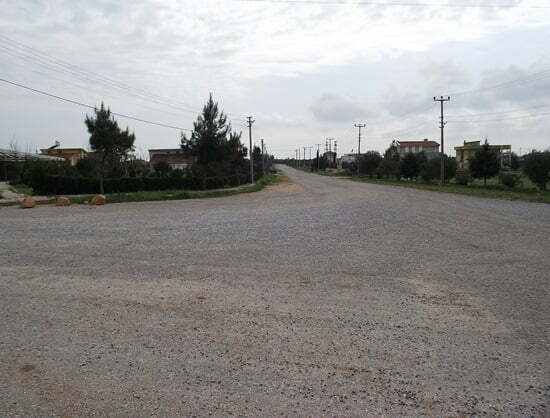 Yesiltepe – Where Is Everyone? I looked left and then I looked right. There was not a soul to be seen in the small village of Yesiltepe. I had been to this area many times before but it had always been a fleeting visit and I was eager to find out why a lot of ex-pats were attracted to buying property here. It was a not a place that instantly captivated me but I had decided to return and give it one more chance before I nicknamed it the village of the damned. To drive into Yesiltepe, we went through lush, green fields. All of a sudden the green fields stop and rows of villas start appearing. They are newly built villas that have the latest modern cons and would not look out of place in a real estate magazine. The village is very neatly set out in a grid patter n and street signs are on every corner. Nearby attractions include Didyma Horse safari and Bafa Lake however I was here to get a feel for the village, and the perfect way to do that is to speak to the people who live there. The problem was that I could not see anyone. 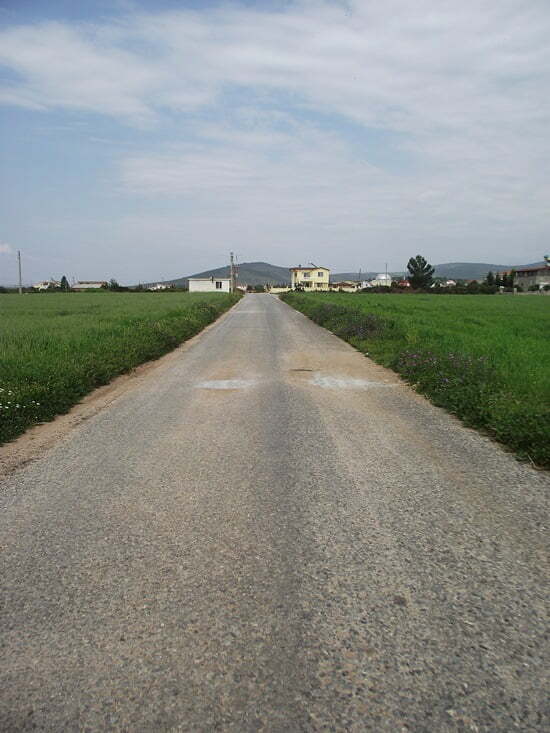 The roads were deserted and there was no sign of life. I spotted the local corner market and figured that if anyone could give me information, the people that work there could. A young lad appeared and I asked him what there was to do in Yesiltepe. His lips pursed and he looked up at the sky as if he was waiting for the heavens to send him the answer. “Huh! Well we have a café” he mumbled. “Is there anything else?” I asked. He then remembered the public swimming pool; however unfortunately there was no water in it. The mention of the swimming pool, also gave way to a long, one-sided discussion that many ex-pats living in Yesiltepe were not happy. They had bought villas with private swimming pools, however their swimming pools were not on the building plans and therefore illegal. The council was ordering some people to fill their swimming pools in. I really did not want to get into this conversation so politely asked to buy cigarettes and then I could be on my way. “I don’t have any”, the young lad said. There were not enough people living in the village to stock them at this time of year. “Come back next week and my stock would have arrived by then” he said. Yesiltepe translates into green hills. One look at the horizon and this will tell you that it is a well suited name. However I never met one person or come across one attraction that convinced me to write about Yesiltepe as a great place to visit. It obviously appeals to some ex-pats otherwise they would not have bought property there. For me, the lack of life, character and social interaction means that I will not be returning any time soon. HI Jackie, I am sorry – just getting around to updating everything now – xmas has been quite hectic. It has been a while since I have been to Yesiltepe and I have mentioned to Eamon that I should visit again – when it is the best time of year? July to September maybe? Just move in 2013 we like yesiltepe and very happy to live there . Hi Colin and Sandra. I really would not buy a house in Yesiltepe. If you are looking for a small resort, try looking in Yesilkent instead. It is a lot nicer and in the same province. 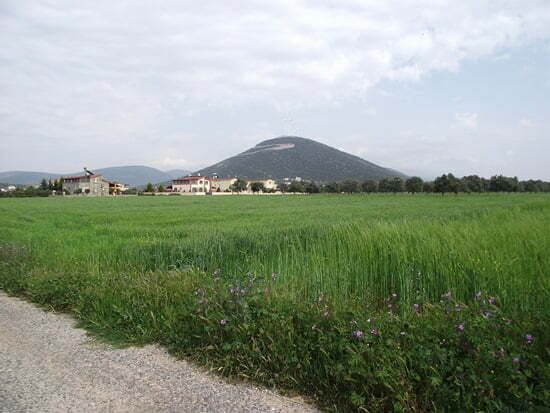 Hi George/anyone else…My partner and I were thinking about buying a resale villa in Yesiltepe. Amongst others things, I have seen reports that crime is high there and people living there are scared to leave their properties unattended, Any information/overview of Yesiltepe would much appreciated..Would you buy there again? what are the difficulties? The house we saw was British built. I thank you for posting your comments. Hi Natalie. The village is getting better day by day and new buildings are going up like there is no tomorrow. All Ex Pats as well. It is a very quite village and actually there is lots to do, but we do it in our own time. Margaret is thinking about moving here. There are lots of empty villas for sale, some better than others. My advice would be to look at what is on sale prior to “wasting money” on a new build. Happy to help those who might want to come and look at a typical villa and show them around. When I was speaking to one of the locals, he told me that the ex-pats were not happy. Unfortunately I did not get chance to speak to any ex-pats themselves but I have heard rumours about why there is problems. Even though I do not think much about Yesiltepe, I dread to think about what will happen to the village if all the ex-pats got up and left. Great comments from everyone. I live in yesiltepe. It is a village of the dammed, only because the current Mayor is pricing all ex pats out of existance. The Council want the ex pats money but not the ex pats themselves. The builders and the buildings are a joke. If you would like a full rundown, mail me. the road out looks REALLY good! I think some ex-pats buy there on a whim Julia and then it is only when they get to know the place that they realise there are much better alternatives. Phil and Di – Definitely for those that don’t want excitement in their life! That looks like a place where we definitely won’t be adding to our must-visits! How odd that expats want to live there. I think they like the idea of quiet seclusion – and then they get the reality.